Teen Titans Go! 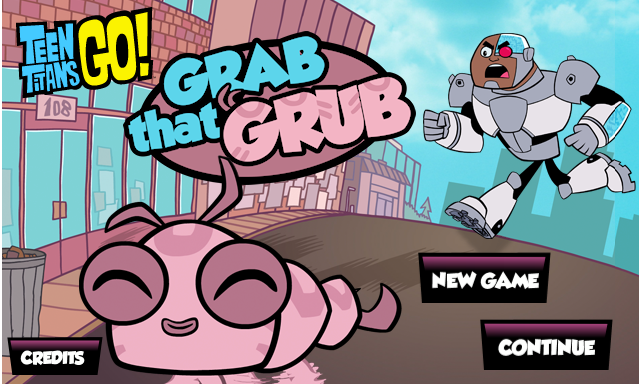 Grab that Grub, a platformer game made in collaboration with Cartoon Network based on the series "Teen Titans Go!". Grab That Grub is all about Cyborg keeping Silkie safe during a dangerous dash through the city. 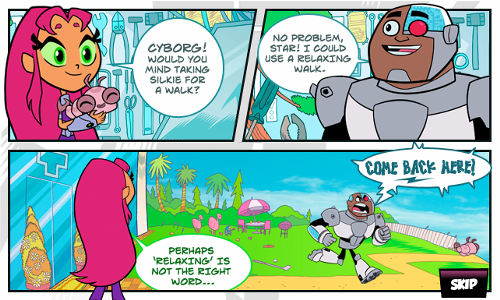 Starfire has asked Cyborg to take her pet worm, Silkie, for a walk. 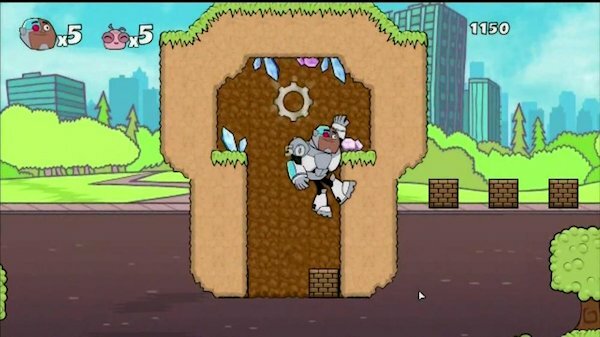 Run, jump and crash through barriers as you try to get Silkie safely to the goal of each level.